Goa is one of the top travel destinations in India and is mainly known for its magnificent, amazing and beautiful beaches that lie along Goa’s 60-mile coastline. The beaches along the coastlines of Goa really looks like a lace frill on the edge of a colorful skirt and the beautiful beaches of Goa in the amazing stretches of golden sand is a real treat to the eyes. One of the major peculiarities of the beaches in Goa is the beach shacks that serve ice cold beer and delicious spicy Goan cuisine to the travelers. The beaches of Goa are popular for both the foreign as well as the domestic travelers and the beaches are considered as a best option for an honeymoon vacation trip as well as casual trips. The ambiance that exists in the popular beaches of Goa is something that you cannot experience in other travel locations across India. Those who have visited the Goan beaches once in their lifetime will surely be tempted to visit this place again and again. Since the tourism season is peaking in Goa, it will always be better to know about the best and the popular beaches in Goa that are worth visiting. So in this article, a list of the popular beaches of Goa has been compiled based on various factors and hope that this list proves beneficial for those who are planning to book their tour to Goa this season. So let us have a look at the popular beach travel destinations of Goa. The Calangute Beach is one of the most popular and largest beach in north Goa which is visited by a large number of travelers from across the world during the peak tourism season. The peak tourism season at Calangute Beach comes during the winter seasons (December to February) and also during the summer season which is in the month of May. When compared with the other beaches, Calangute beach is the best when it comes to facilities and other factors. 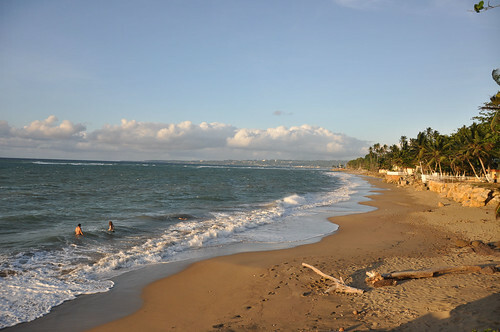 It is a wide and long stretched beach which is considered to activities such as water sports and also enjoying good shacks. 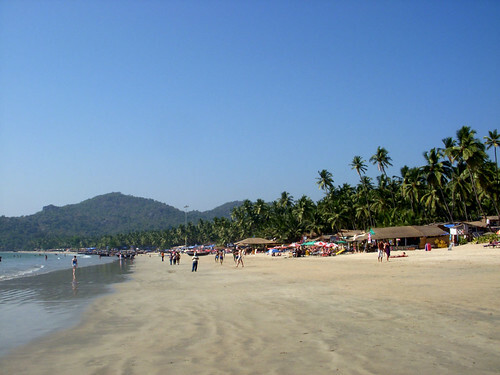 Palolem Beach is a beautiful beach in South Goa which is one of the most unspoiled beach where you can enjoy a perfect beach holiday trip with your family and friends. The beach is mainly inhibited by local fishermen and due to its untouched natural beauty, you can see a lot of foreign tourists during the peak tourism seasons. The beach is almost 1.6 km long and you can see rocks jutting out into the sea at the both ends of the Palolem Beach. The easy availability of cheap and quality accommodation facilities along with the amazing beauty of Palolem Beach makes it a perfect beach destination in Goa. The amazing Vagator Beach in North Goa is known for its marvelous red cliffs that look down on the shore along with two water springs. The Vagator Beach is generally split into two main beaches which are known as the Big Vagator Beach and the Little Vagator Beach. The flea market, which is held on every Wednesday at the Vagator Beach is one of the major tourist attraction of this place and you can also see some sort of performance that aims at promoting local talent. Generally the beach is clean and the water is shallow and you will really have a great time if you visit this beach during the tourist season as there will be a lot of activities that are worth experiencing. The Varca Beach in South Goa is another spectacular beach travel destination in Goa which is visited by foreign as well as domestic travelers. The row of wooden fishing boats that are seen on the beach is one of the major sights that can be viewed at the Varca Beach. There are also a good number of beach resorts in Varca, which helps you to secure a comfortable accommodation while on your trip to Varca Beach. The endless palm backed strip of land at the Varca Beach makes it more beautiful and you will also be able to experience a calm atmosphere that you will really enjoy. If you want to experience the combined beauty of sand, sea and the sun in Goa, then the Aguada beach is the best recommended place. 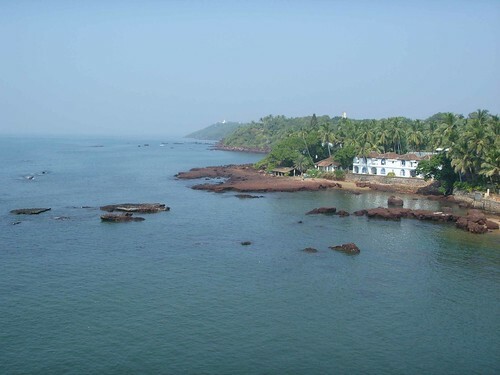 One of the major attractions of Aguada Beach is a 16th Century Fort which is built by the Portuguese with the prime intention of protecting Old Goa from the invaders. The beautiful soft white sands, the swaying palms and the tranquility of the surroundings make Aguada Beach a popular travel destination in Goa. The Reis Magos Fort and Reis Magos Church with is amazing European architecture is another major attraction at the Aguada Beach. 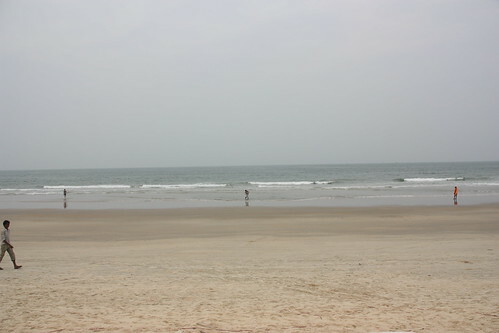 Baga Beach, located in North Goa, is a much better beach and a more relaxed place to stay. Despite the heavy concentration of hotels, resorts, beach huts, bars, restaurants, and souvenir stalls, there is a sense of innocence and a freshness of childhood mornings that makes this beach something unique. The rows of shacks, fishing boats and facilities for adventure activities makes this beach a must to visit travel spot in Goa. The presence of resorts, hotels and restaurants clearly provides a perfect platform for the travelers to enjoy their trip to the Vaga Beach. 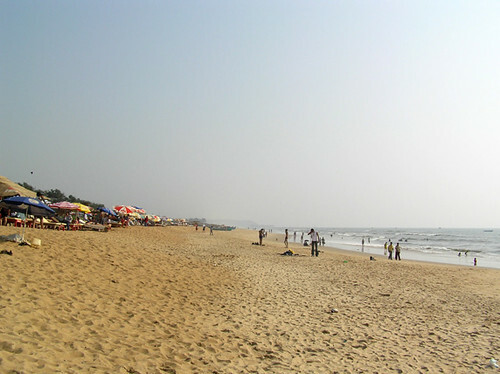 The Candolim Beach in North Goa is a popular tourist destintion and also the longest beach in Goa. 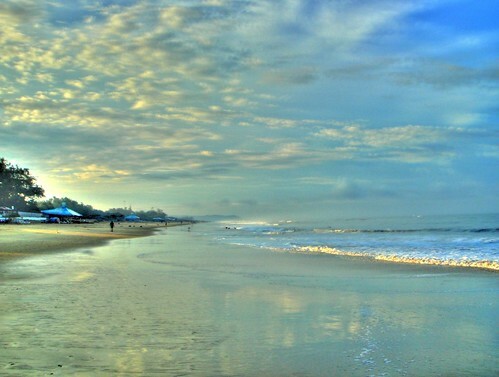 The calm and peaceful Candolim Beach is also well known for the scenic beauty of the sand and the scrub covered dunes at the back of the beach. The Candolim Beach is also known for its cleanliness, well maintained beach shacks and also the amazing view of the sunset. The Candolim Beach is one such beach where you can see a huge majority for the foreigners which clearly speaks out about the importance of this beach in the tourism industry of Goa. In South Goa, the Cavelossim Beach is considered to be one of the best travel beach destinations where we can see a good number of foreign as well as domestic tourists throughout the year. The clean beach with its white sand and sparkling water is always a traveler’s delight and the lovely beach shacks at the Cavelossim beach add more to its value. The calm and serene atmosphere that prevails at this beach makes it an ideal family holiday spot in Goa. 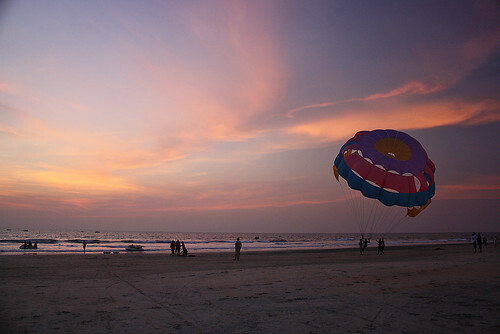 Located in North Goa, the Mandrem Beach is another major place to hang-out with your friends and dear ones. Due to its amazing calm and romantic atmosphere, the Mandrem Beach is considered as an ideal destination for those looking for a honeymoon vacation package. The crystal clear water, the relentless waves and the golden sand makes this beach a special honeymoon spot in Goa. Even though Mandrem Beach is considered as a beautiful deserted beach the amazing natural beauty and calm atmosphere is something that makes this beach more special. The Dona Paula Beach in Goa is a hot travel beach destination which is noted for its long stretches of silver white sand. This is a unique beach in Goa which has a lot of legends attached to it. The romantic Dona Paula Beach in Goa is well known for its amazing natural beauty and also offers various water sports activities. The beauty of Dona Paula Beach is further enriched with the presence of the anchored fishing boats and these sights are sure to provide a memorable trip for the travelers. Interested in a visiting the exotic and romantic beaches of Goa.? Just fill the form below and get the best deal from the major tour operators in India. Hurry, as the tour booking for Goa has already started for this season. This entry was posted in Goa and tagged beach destinations goa, beaches in goa, goa beaches, honeymoon beaches goa, popular beaches in goa. Bookmark the permalink.